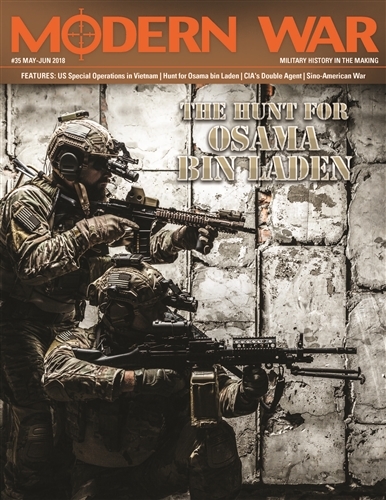 The Hunt for Osama bin Laden: On 2 May 2011, US Naval special operation forces killed Osama bin Laden in Abbottabad, Pakistan. His death marked the end of a decade long hunt to bring the perpetrator of 9/11 to justice. Mike Force - US Special Operations in Vietnam: The US Army has always had unconventional forces serve alongside its conventional units. During the Vietnam War, these special operation forces played a major role in the conflict. Fatal Attraction - The CIA's Double Agent in Pakistan: In December 2009 a suicide bomber attacked the CIA annex at Forward Operating Base Chapman, making it the deadliest attack on the CIA since 1983. The attack was a result of poor tradecraft and gross incompetence on the part of the CIA. Possibilities for a Sino-American War: In recent decades China has emerged as the sole great power in Asia and the Pacific. As a result, this places it in direct competition with American influence in the region, and increases the possibilities for a confrontation between the two nations.